David Nepomuceno was born on 9 May 1900. 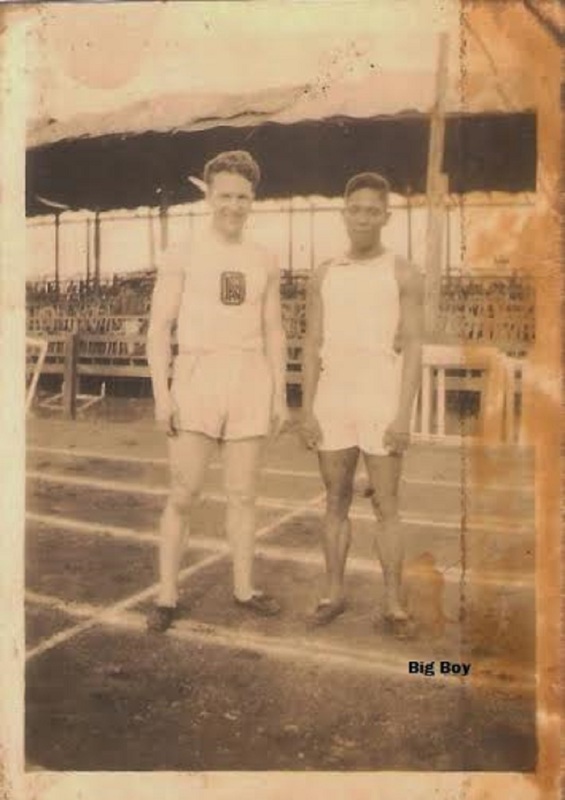 David Nepomuceno was dominant in an era when the metric system was replacing the old imperial yard system and he ranked among the top 10 in the world in the 1920s including his fellow, the first great Filipino sprinter, Fortunato Catalon, dominating the 100 yards (91 metres) and 220 yards (201.1 metres) and 1925 100 metres. David Nepomuceno was the first Filipino to compete in the Olympics and the lone representative of the Philippines at the 1924 Summer Olympics in Paris, France. Together with his coach Regino Ylanan, the founder of the National Collegiate Athletic Association of the Philippines, Nepomuceno carried our flag proudly during the opening ceremonies in the 45,000-seat Stade Olympique de Colombes - the same venue of the 1938 World Cup final. David Nepomuceno ran the 100 meters in 1925 in only two-tenths of a second short of the then-world record. The reason behind the entry of the Philippines in the Olympics is not clear but it is likely that the IOC (International Olympic Committee) or the American colonial officials decided to admit the Philippines in order to expand the Asian presence in the quadrennial event. The Men's 100 Meters was Nepomuceno's first event where he was slated to run in the fifth heat with the likes of Henricus Broos of the Netherlands, George Dunston of South Africa, Antonin Svoboda of Czechoslovakia, Poul Schiang of Denmark and Jose-Maria Larrabeti of Spain. Unfortunately, he finished dead last and both Broos and Dunston qualified to the next round. In the end, it was British Harold Abrahams who won gold at an Olympic record time of 10.6 seconds followed by American Jackson Scholz for silver at 10.7 seconds and Kiwi Arthur Porritt for bronze at 10.8. Interestingly, that race was depicted in the Academy Award-winning 1981 British historical drama "Chariots of Fire." David Nepomuceno was then slated to run against home town favorite Maurice Degrelle and Dutchman Marinus van den Berge in Heat 15 of the Men's 200 Meters but he was not able to progress as Degrelle topped the race at 22.6 seconds. In what was expected to be a highly-anticipated rematch between American Scholz and British Abrahams in the final became an anticlimactic finish as Scholz ran away with the gold medal at an Olympic record time of 21.6 seconds followed by compatriot Charles Paddock for the silver at 21.7 seconds and British Eric Lidell for the bronze at 21.9 seconds. Abrahams finished dead last at 22.3 seconds. David Nepomuceno went on to the 1925 Manila Far Eastern Games winning the Gold in the 200-meter dash and the Silver in the 100-meter dash. David Nepomuceno managed to win the Men's 100 Meter gold in the 1927 Games in Shanghai but failed to defend his Men's 200 Meters Straight gold as he slid to bronze as rising sprint star Anselmo Gonzaga took the gold and Japanese Takayoshi Yoshioka settled for the silver. David Nepomuceno served in the Philippine Scouts and the United States Navy. David Nepomuceno died on 27 September 1939.